Twin fourth year chemical engineering students Alex and Douglas Dunn have used a prestigious international fellowship to make cancer-carrying nanoparticles more patient-friendly. 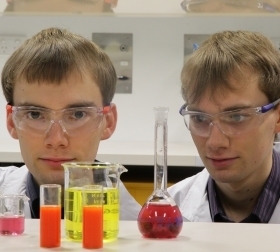 Twin brothers Douglas (left) and Alex Dunn are making nanoparticles for carrying cancer drugs more patient-friendly. Their work has involved synthesising a magnetic nanoparticle that is coated in a polymer. 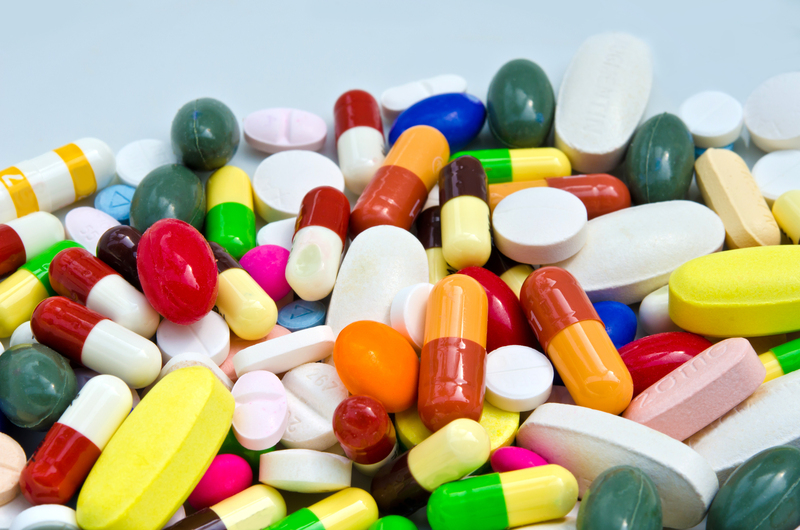 Cancer-fighting drugs are attached to the polymer by a temperature and pH-sensitive bond. A key breakthrough is the mechanism used to release cancer-fighting drugs directly into the cancer cells, which helps to reduce the drugs’ toxic side effects. The drug payload is only released when the nanoparticle enters the acid environment of a cancer cell and when its polymer coating is simultaneously heated by an alternating magnetic field applied from outside the body . Switching the magnetic field on or off allows controlled release of the drug either rapidly or in periodic bursts. Alex and Douglas chose to perform their research at the Royal Institution (RI) in the UK, which is the home to an alternating magnetic field generator— a custom piece of test equipment the brothers used to analyse the effectiveness of the various nanoparticles. Whilst at the RI, they investigated the impact of modifications to the size, shape and polymer coating of the nanoparticles, all of which could improve the chances of success when the concept is eventually tested in living organisms. “There are a lot of variables to consider when you’re putting something into the body,” Alex explained. The twins say they relished the chance to work in one of the world’s oldest scientific research institutes, cultivate new contacts and research relationships, and see cutting-edge players in their field in action. Congratulations to all the team at UNSW.